A black and white card stock 'Here Comes the Bride!' sign that features a chalkboard style script lettering, and a white flowers and green leaves design; this is a pleasant sign to have at a wedding. Included with your purchase is a 1 inch wide green satin ribbon handle sign. The entire sign measures 16.5 inches by 16.8 inches by 0.04 inches. 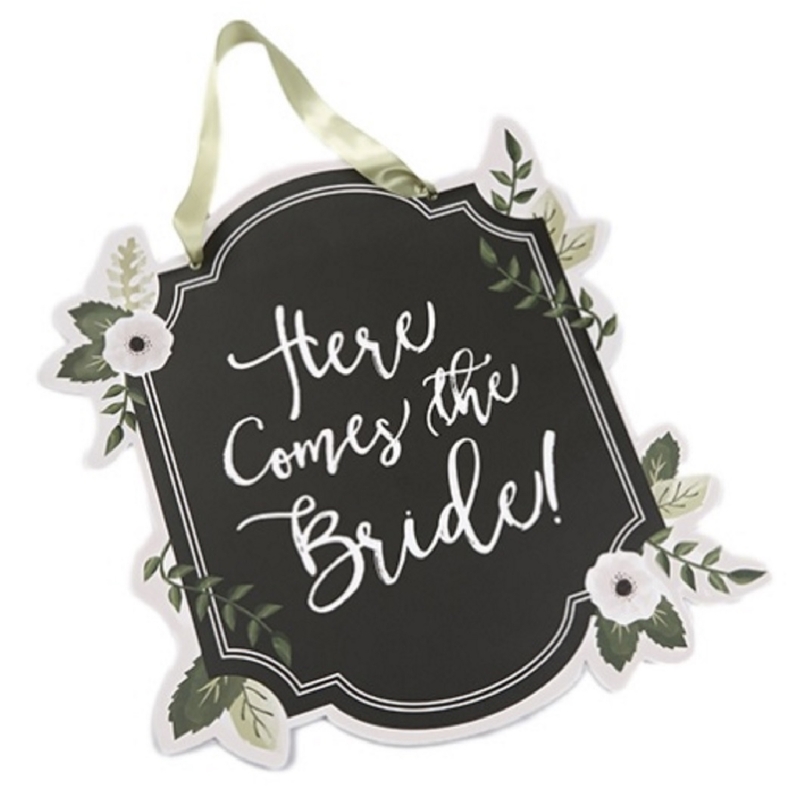 A sign that would be welcome at any wedding ceremony, the 'Here Comes the Bride' floral sign is nothing short of a must have. Not only is it functional, it also complements the whole wedding aesthetic nicely.